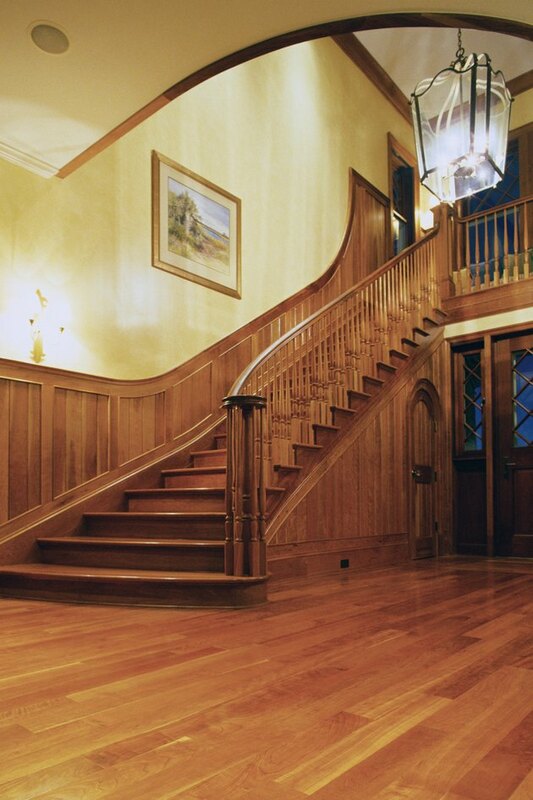 Over time, light, cleaning chemicals and environmental problems can make your wood trim look dull. While it's not difficult to remove wood trim, there's no need to go to the trouble. A few chemicals and a little elbow grease are all you need to brighten your wood trim and give your entire living area a facelift. Don't skip sanding the trim -- it'll make the surface smoother and more porous, ready to accept a fresh new stain. If you want to make a bolder change, add a touch of paint to your trim. Redoing your home's wood trim can give it a new look. Line the trim with painter's tape to avoid damaging the wall with chemicals. Place newspapers on the floor to catch any dust or splinters. Apply varnish remover to the wood trim with your paintbrush. Use the stiff bristles to work it into any crevices in the wood. Leave it on as long as the package directions say to leave it on. Scrub in the varnish remover with the scrubber pad, working it in small circles to remove the old stain. Wipe the remover off the trim with a damp rag. Allow the trim to dry. Press the sandpaper against the trim and move it in quick, smooth strokes in the direction of the wood grain to smooth the surface and prepare it for the new varnish. Brush the dust from the trim with your dust brush. Focus on the area above and below the trim, where dust can get trapped. Paint the new varnish over the wood in the direction of the grain. Follow every few brushes of varnish with a rag in the same direction to remove excess stain. 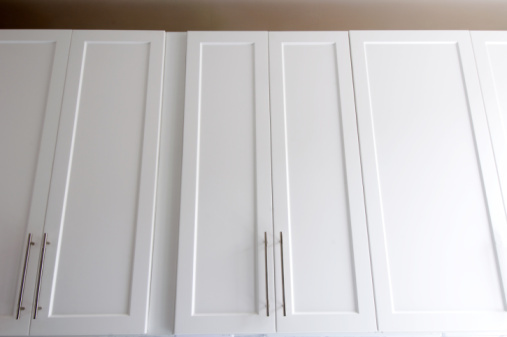 If you'd rather add color, use paint on the trim instead. Apply it with a brush in the direction of the trim grain and allow it to dry.